Ella~and~Irene's Place: Sweets,Sweets and More Sweets! 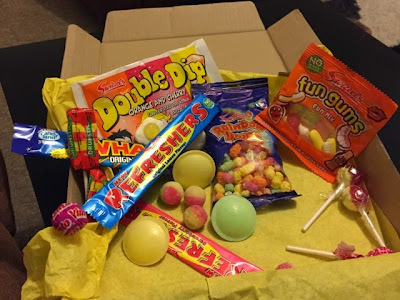 : Delicious Treats from Scoff Club! Sweets,Sweets and More Sweets! 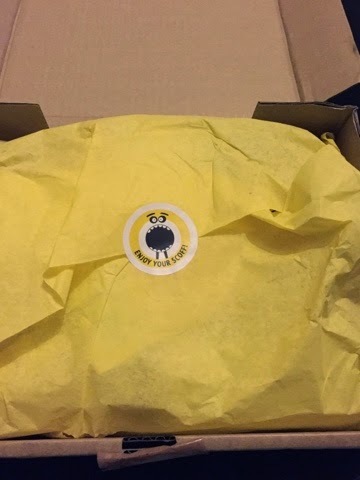 : Delicious Treats from Scoff Club! Its almost impossible for me to say no to ''sweeties'' as my four year old would say. I mean one minute I am making resolutions but fraction of a second later I am happily treating away. So you can imagine how pleased I was to return home (after my first day back to work from maternity leave) to meet a box of sweets waiting for me from Scoff Club! 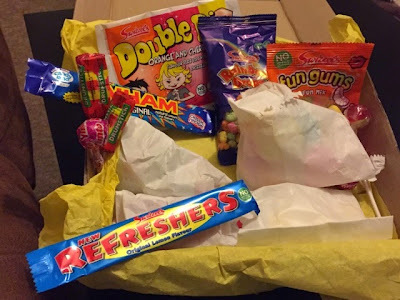 Scoff Club: Favourite Retro and Classic Sweets! 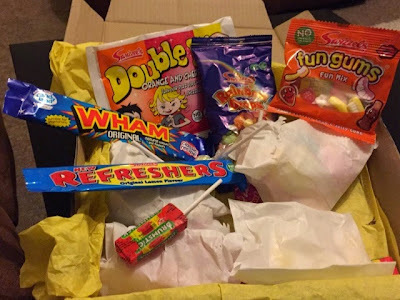 To be honest, I was not expecting to meet a very good sized box generously packed full of sweet treats so I was genuinely impressed and pleased. Scoff Club :What a Treat! 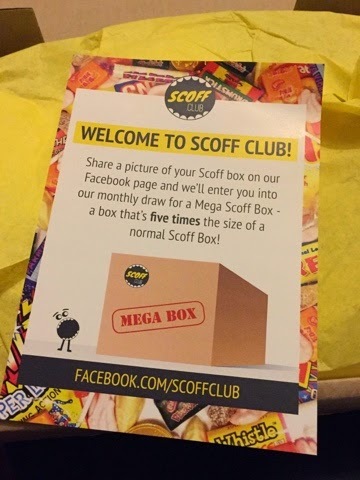 For what its worth,I think the Scoff Club box would be great as a surprise present/treat and is bound to put a smile on the recipient's face. I mean its just like giving someone a box of chocolates,a box of sweets is just as great as a box of chocolates! 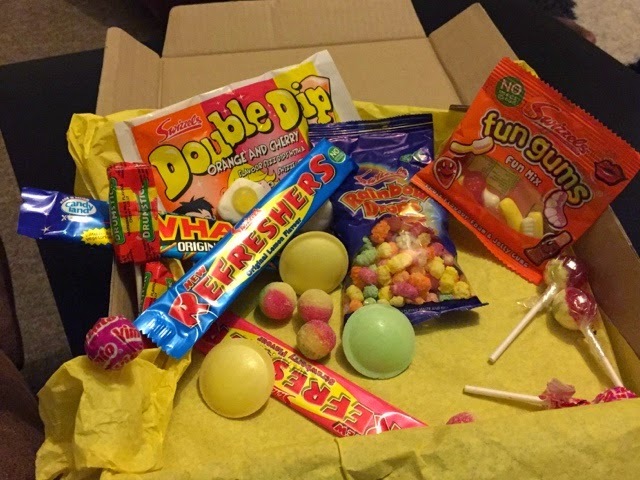 its just as well if you wish to satisfy your sweet tooth cravings too, trust me this is one variety box you do not want to miss! Yum Yum, Sweets and More Sweets! Ok Lovelies, I really have to go now, cannot wait to gorge on these treats! 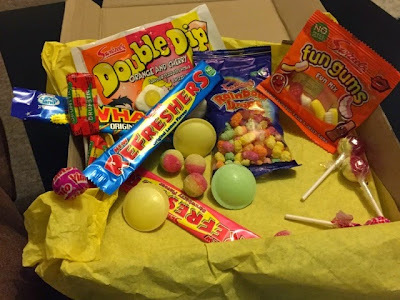 ** sample Scoff Club box of sweets was sent to me for review purposes.